This weekend at the box office, the power of Will Smith conquered all as his newest film, Focus, took Fifty Shades of Grey off the top of the charts. But was Big Willie’s newest still a disappointment for the once massive star. Eh sure, kinda. Details on that and more await in this week’s Box Office Prognosis! Focus is the first starring film for Will Smith since 2012’s legendary disaster After Earth, and one of only three films that he’s starred in in the last six years (the other one of course being Men in Black 3.) So with his star very much depleting, he really needed Focus to be a success to prove he still has it. And though the film made $19.1 million this weekend (and enough for first place), I don’t quite think he accomplished his goal. Sure the film was surprisingly cheap to make (at only $50 million, even Seven Pounds cost more), but this is still a far cry away from the $30 million+ opening grosses that Smith used to deliver on a film-by-film basis. In any case the film will probably break even domestically with a gross of about $50 million, and make most of its money overseas like every other goddamn movie nowadays. But not like Kingsman: The Secret Service, which is doing quite well for itself in its third weekend of release. The action spy film made $11.6 million this weekend, off only 36% from last weekend. That’s a great hold for the potential start of a new franchise, and should lead to a final domestic take of about $110 million. Since the film cost $81 million its already passed its budget, and a near $200 million domestic total as well makes this one seem to be a pretty substantial success. 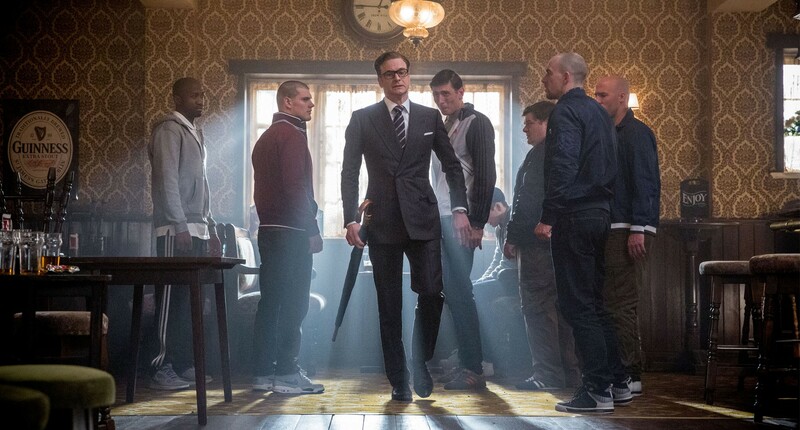 Which is a good thing — I want a Kingsman 2, please. In third place for the weekend was The Spongebob Movie: Sponge out of Water, still holding strong after four weeks with a gross of $11.2 million. So far the animated feature has made $140 million, and will likely close out around $170 million. Meanwhile in fourth place we have the sad, sad case of Fifty Shades of Grey, which continues to drop like crazy. The film only made $10.9 million in its third weekend of release, which is another 50% drop from last weekend. This film was incredibly front loaded as many predicted, but I doubt Universal is too sad about that — it’s still made nearly $150 million to date, and a staggering $340 million from worldwide box office. All in all the film will probably close out around $170 domestic, but that still makes for A HALF A BILLION DOLLAR worldwide gross. Which is just…blech. Finally rounding out the Top 5 is new release The Lazarus Effect, which stars folks like Mark Duplass, Donald Glover, and Olivia Wilde, and is somehow NOT a comedy. The horror (yes, really) film only made $10 million in fifth place and, although that might seem bad at first glance, it’s important to note that his one is a Blumhouse production…which means yes, it’s a microbudget effort. Costing only $3.3 million, the film was destined to make money regardless of its first weekend performance. Check back next week to see if Neil Blomkamp’s latest, Chappie, will become another District 9 sensation, or an Elysium bomb. See ya then!